Graduated with a Bachelor of Human Kinetics from Trinity Western University and is a Certified Fascial Stretch Specialist – Level 3 Medical and a Certified Fascial Fitness Trainer. She has completed numerous continuing education courses in Exercise Therapy over the past 15 years including small ball release and the Mackenzie Method for low backs. 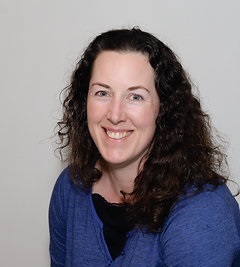 Amy has extensive knowledge and experience in rehabilitation having worked alongside many physiotherapists, occupational therapists, chiropractors, pedorthists, massage therapists, and a sports medicine physician. She first starting doing Fascial Stretch Therapy in April 2012. I am a former Accountant and Land Administrator, and my passion for Massage and Wellness came after a life-altering event 20 years ago. It resulted in a complete change of direction for me in my calling; which is to help people heal through their physical body. Since then, I have had 15 years of massage and holistic experience. I specialize in stress release technique done through trigger point massage. So whether it is relaxation, deep tissue or a combination to release your stress and allow your body to shift into Wellness, I am here to help. Sign up for Massages Here!